Speciality Batter Mixes for Food Service and Processors. A full range of Catering and Food Service mixes. Steadily growing over the last 50 years, The Middleton Group now comprises several companies, serving a variety of markets. It is still independently owned and has over 250 employees. Established in 1990, Middleton Food Products originally came from Leonard and Sylvia looking for a batter for their chain of Fish and Chip shops. Their desire to use only the best resulted in the Middleton Group building a production facility to manufacture their own blends. Now supplying a complete range of catering and bakery mixes to the food industry, Middleton Food Products operates through a Quality Assurance System that has gained higher level accreditation by EFSIS (European Food Safety Inspection service). 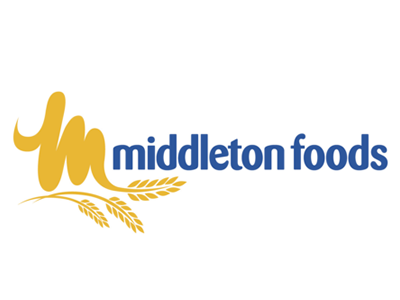 With plans in place for further investment and expansion, Middleton Food Products continues to go from strength to strength.